Bill Pronzini’s post on this blog, “Don’t Tell Me You’ve Got a Heater in Your Girdle, Madam!”, with its entertaining and instructive examples of bad crime writing, generated some dissenting opinions about one of the passages quoted. Several respondents felt that this sentence: “From the moment he crushed Cora’s skull, he knew it was going to be a rotten Monday” could escape the stamp “alternative classic” if put in the right context. I’d like to weigh in on this, in a roundabout way. At writers’ conferences, one often hears this piece of advice offered to new writers: Make sure you have a great opening line. You need to grab the editor’s attention from the very beginning or your story will be tossed onto the rejection heap. My editorial hackles rise every time I hear this canard, because while it is certainly true that an experienced editor can usually tell within a few sentences whether a story is going to be worth a full read, that judgment has little to do with his or her attention having been grabbed by an artful line. I can tell you from my own experience that if an individual sentence gets my attention, it’s more often because there’s something wrong with it. That line about Cora and the crushed skull has the feel to me of an opening line—one that might have been written by someone following the get-the-editor’s-attention rule. And my advice is, leave that rule aside in favor of a more organic approach to your fiction. Why strike out those lines that seem “particularly fine”? Simply put, because no line in a story has value apart from all the other lines that, together with it, make up the whole. If a line or passage stands out, individually grabs our attention, it probably isn’t serving its purpose of working toward what Edgar Allan Poe called the “unity of effect” of a story. Poe thought that every line in a story has equal importance, because every line, from the very first, must be working toward the effect on the reader that is to be achieved by the story’s end. To return to that sentence “From the moment he crushed Cora’s skull, he knew it was going to be a rotten Monday”: I’m not certain this is an opening line, but if it were the opening line to a story that found its way onto my Kindle, I would probably read a few more lines to see if the author could spin something around the attitude taken. I would see whether a certain voice—presumably humorous—was immediately established, and so forth. To that extent, I agree with those who feel this sentence belongs in a different class from the other “alternative classics” presented in last week’s blog. Nevertheless, it has the feel to me of someone trying too hard to come up with a startling line. And that creates for me (for any reader, I think) an immediate distrust of the author as a narrator. I might read on a little further, but with skepticism. Confronted with the more blatant kind of bad writing illustrated by most of Bill Pronzini’s examples, the editor’s acquisition decision should be simple: Don’t buy the work. Nowadays such rejected novels and stories may well end up as e-books and find their way into the possession of unfortunate readers, but most bad fiction (despite the number of examples Bill has come across) will not find publication by conventional means. What is more problematic for an editor is how to respond to a manuscript that has flaws but also merit. Publishing involves the balancing of artistic goals, commercial considerations, time pressures, and, not least, the establishment and maintenance of personal relationships. Last week’s blog commented that “there is not a writer living or dead, no matter how accomplished, how critically acclaimed, who ever failed to perpetrate a line of awkward or downright bad prose; whose work would not benefit from editorial input . . .” This I wholeheartedly agree with, and I have rarely encountered authors who are flat-out against accepting an editorial hand. But it should be understood that the editorial process too is an imperfect one, involving compromises and subjective judgments. Different editors have different approaches, based on their experiences and the circumstances in which they work. Fred Dannay, EQMM’s founding editor, was famous for making changes to stories—most often to their titles. One of our current contributors, who’s been with the magazine long enough to have worked with Fred, told me that Fred changed the ending of one of his stories entirely. Naturally, this caused the author some discomfort, but at that time, few authors would have said no to Fred, who (as Ellery Queen) was one of the bestselling mystery writers of all time. And Fred’s judgment must have been right, because for years afterward, the author tells me, he got compliments on that story’s ending. Sometimes it’s the oddities in the prose—like an attractive rasp in the voice of a singer—that make all the difference in giving life to a work of fiction, and I try to err on the side of leaving as many such idiosyncrasies as possible. (Though some, of course, may say I err too far on that side.) I had occasion to consciously consider this when I was a book editor and inherited the orphaned novel of someone who had what I considered a stylistic tic. At more than twenty years distance I can’t recall with certainty what that tic was. (I believe it was a tendency to overuse anaphora—the deliberate repetition of a phrase in successive sentences.) What I do remember clearly is the author’s reaction to my attempt to eliminate the (to me) offending instances of it. The impassioned letter of objection I received caused me to reconsider and to conclude that although this aspect of the prose was irritating to me, it might be one of the things that gave this author’s voice a distinctive quality. I had to concede that there is an area of subjectivity when it comes to such things. The book had been bought, after all, by another editor, who presumably had no serious reservations about its style. Beyond pointing up how divergent editorial judgments can be, what that example shows is the need for a good working relationship between author and editor. Authors rightly fear the orphaning of their fiction—especially a novel—through changes of personnel at their publishing houses. A relationship of trust is essential to the smooth working of the editorial process, because there are times when words, sentences, or whole passages just do need to be penciled out. Sometimes passages must go not because they’re grammatically or syntactically incorrect, but because they’re simply wrong for the context—or involve overwriting—or are clumsily phrased. Unfortunately, these passages are sometimes the very ones their authors think “particularly fine” and that’s where trust in the editor becomes vital. I generally find that when an author understands that I hold his or her work in esteem, a suggestion to remove even a cherished bit of prose gets a serious hearing. A fact that new writers may find interesting is that it is often the “biggest name” authors who object the least to being edited. I like to think that’s because they’ve realized over the course of their careers that despite all the imperfections in the process (including its areas of inherent subjectivity), most editors do their best to make sure the work that goes to press is as strong as it can possibly be. 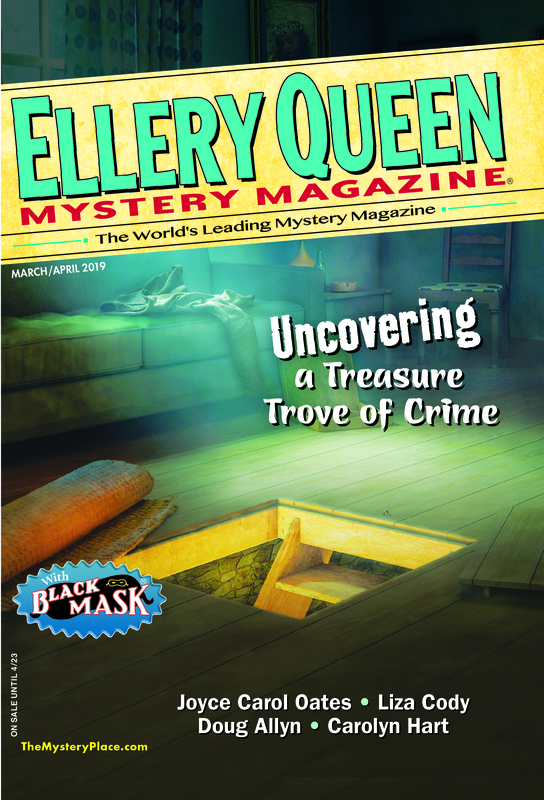 This entry was posted in Editing, Fiction and tagged alternative classic, editing, editor, editorial advice, ellery queen, elleryqueenmm, eqmm, grammar, literature, writers, writing_technique. Bookmark the permalink. Wonderful post. Very honest and helpful. I’m toddling back to Facebook to link this! Good piece. It’s something I’ve learned after 23 years and 170 books. It takes a while to not feel like you’ve failed when an editor takes a red pencil to your darling. After coaching little league for 15 years, I should have known this, but it takes a while to sink in. Now, with me teaching college classes in professional writing, I’m on the other side of the table. It wasn’t any more comfortable there at first. But I’ve learned how to give and take an editor’s input. Excellent, informative post. However, while Faulkner may have said “Kill your darlings,” he would have been quoting Sir Arthur Quiller-Couch, known as “Q” (1865-1944), who is famous for saying, in the same context, “Murder your darlings,” in one of his lectures collected as essays in _The Art of Writing_ (1916). A terrific post. Thanks, Janet!